Fertilizing with nitrogen is necessary for most crops. A surprisingly large percentage of applied nitrogen, however, never makes it to the plant. Depending on field conditions, typical efficiencies of applied nitrogen range from 40 to 75 percent. Applied nitrogen can be lost from several conditions. Two common losses are from leaching of nitrates and/or volatilization of ammonia. Regardless of the cause for nitrogen loss, the effect is expensive to the grower and may degrade the soil environment. Mixing nitrogen fertilizers with products containing Horizon Ag-Products’ technology can minimize such losses by improving the efficiency of applied nitrogen. Not only do the proprietary compounds in our products improve the effectiveness of fertilizers, they also help improve the soil environment by aggregating soil particles and buffering the salt effect associated with synthetic fertilizers. The coated soil particles create negatively and positively charged exchange sites in the root zone. These sites allow for nutrients like nitrates, calcium, iron, and zinc to chemically bond. In simple terms, the “hang-time” of nutrients is increased and therefore improves the efficiency of nitrogen and other nutrients applied for crop growth. Additionally, soil bacteria consume large amounts of nitrate nitrogen in the process of breaking down crop residues. In this process, available nitrate nitrogen is converted to non-available forms of nitrogen. Proprietary compounds in products containing Horizon Ag-Products’ technology have demonstrated dramatic improvement in uptake of nitrate nitrogen. 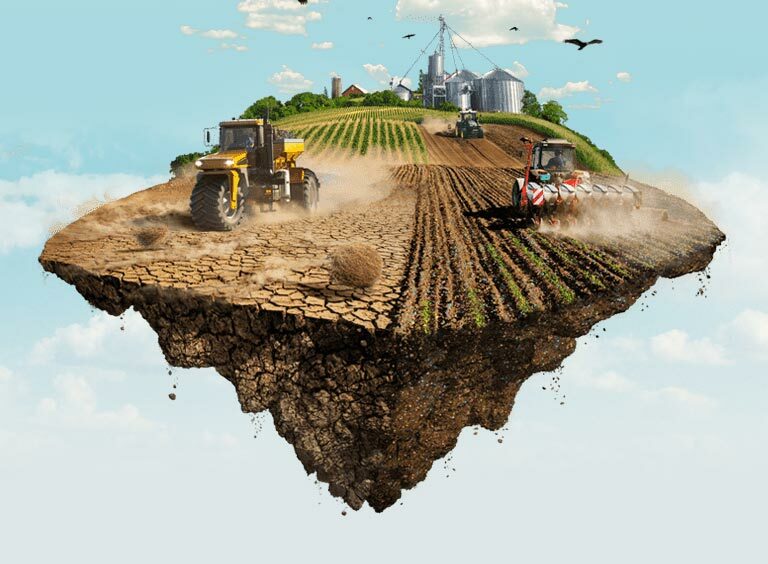 Horizon Ag-Products has been the premier supplier of soluble humus-based finished products to the agriculture industry for thirty years. The consistency and quality of our select sources of organic compounds has been the basis for our leadership in naturally-derived plant health solutions. Nitrate (NO3-) is the most common form of nitrogen taken up by crops. Rather than attaching to soil particles, nitrates are repelled by soils and can leach very quickly beyond the root zone. Nitrate leaching is most severe in sandy soils. Horizon Ag-Products’ formulation sticks to soil particles bridging them together while simultaneously holding onto soil nutrient molecules. It is a well-known fact that crops only use a fraction of the nutrients applied because of various losses. Nitrogen fertilizers are subject to leaching, fixation, and volatilization. Phosphorus is subject to severe tie-up in calcareous soils, or in iron- or aluminum-dominated acidic soils. Potassium is subject to fixation by soil clays. Micronutrients are subject to precipitation and tie up. Consider the following illustration. The average grower applies 400 to 500 lbs./acre of P2O5 to grow a 400 cwt./acre crop in central Idaho at a cost of $600/ton. Laboratory recommendations by the two leading laboratories in the area both assume that applied phosphorus, even when banded, is only 30% efficient, thus the grower’s 400 cwt crop only uses 120-125 lbs. This implies that at least 70% of the applied phosphorus fertilizer is lost through tie-up and other inefficiencies. The grower is, in effect, losing $84-$105/acre to these limiting factors. Improve the efficiency of phosphorus fertilizer uptake by reducing tie-ups with calcium, iron and aluminum is one of the best documented, significant, and consistent effects of Horizon’s products on plant nutrition. Nine out of ten studies published in scientific literature showed significant improvements in plant uptake of phosphorus when humic substances were present. Experiments conducted on a large cotton and tomato ranch in Firebaugh confirmed that the addition of Horizon Ag-Products' to side-dress nitrogen resulted in petiole nitrate levels that were 30 to 50% higher throughout the crucial bloom and early fruit set period on tomatoes. Dr. James Brownell documented in his laboratory at California State University, Fresno that humic substances added to UAN-32 reduced the leaching of nitrate by 30% or more in sand columns. Horizon technologies improve potassium nutrition in two ways: Release of fixed potassium from soil clays is enhanced. This helps improve potassium concentrations in the soil solution for those times of peak potassium use. Across the board, Horizon's products have over 30 years of documented field efficacy. For growers wanting to maximize their fertilizer investment, the addition of a Horizon product will, at minimum, offer enhanced nutrient uptake, salt buffering capability, and abiotic stress mitigation. More advanced formulations offer further benefits such as increased water holding capacity, enhanced soil nutrient solubilization, up- and down-regulating gene expression, enhanced intracellular nutrient transport, increased enzymatic response, and more. Proprietary manufacturing advancements have kept Horizon Ag-Products at the forefront of dry and liquid humic-products development. Our dry soluble humus products utilize our Micro Particle Technology. This technology adds a timed release property to our dry products which provides a season-long source of the plant active compounds. Our proprietary methods used to concentrate liquid formulations allow our products to be exported at relatively low costs compared to other non-concentrated humic and fulvic products. Horizon’s extensive research and development had led to the discovery and synthesis of organic acids compounds that allow for low use rates and maximum compatibility. Our formulations are designed to maximize nutrient use efficiency and minimize the effect of abiotic stresses. No other company in the world can match our commitment to furthering the science of organic acids. Our research and development laboratory and greenhouse facility is equipped with university-credentialed personnel, including two of the foremost Ph.D.’s in the organic acids field. Daily, we are fully-engaged to create and deliver innovative plant health solutions to ensure our growers reach their potential for yield and profit. Horizon Ag-Products Proudly Supports The 4R Nutrient Stewardship Initiative.